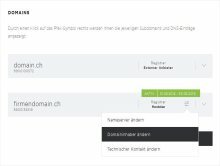 Welcome to your «Domain Manager». 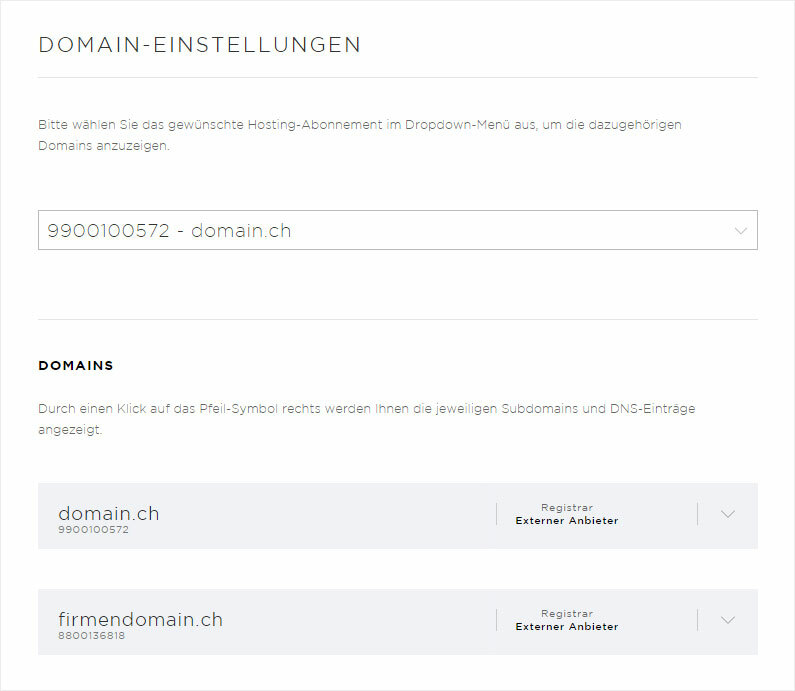 Here you can «manage all domains» in one central location, allowing you to keep an overview of extensions, settings and contractual periods at all times. 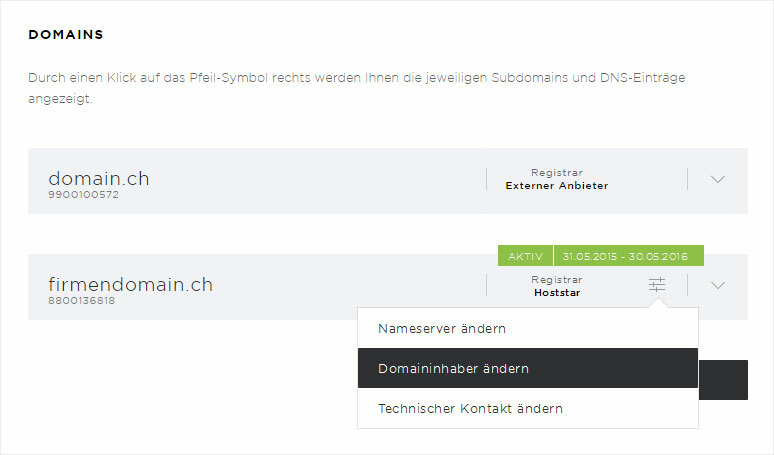 You can transfer, change, analyse and register new domains. Click the «Domain» menu item. You will automatically be directed to the «Settings» page. 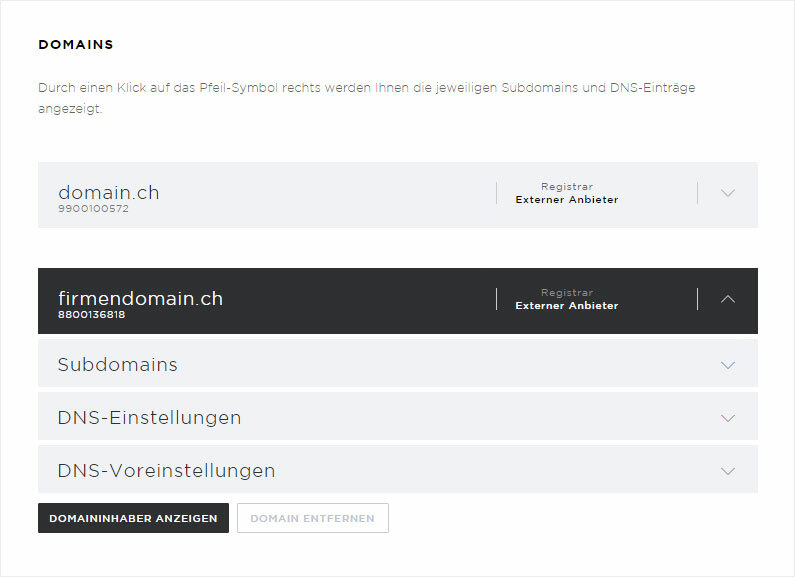 If you have multiple hosting subscriptions, you can select the desired subscription in the corresponding «drop-down» menu. 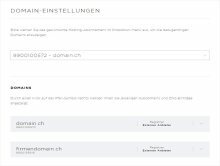 You will see the name of every domain for the selected subscription listed, along with its order number, registrar and status.